THIRTY planned 'mini-communities' will be created under a new scheme to shape Ipswich's future as administrator Greg Chemello pleas with councillors not to return to the dark days of poor governance. 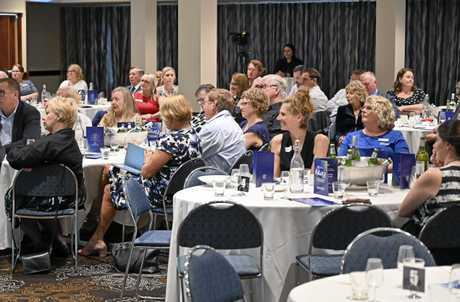 The administrator, who has less than one year left to run in his Ipswich tenure, revealed to the QT's Future Ipswich forum the council was preparing an overhaul of the city's "ancient" planning scheme. "You will get to see the very first versions of the initial thinking about what the scheme could do." "It will be thirty mini-schemes and 30 communities of interest across the city. "That sets a benchmark for the next 10 years." 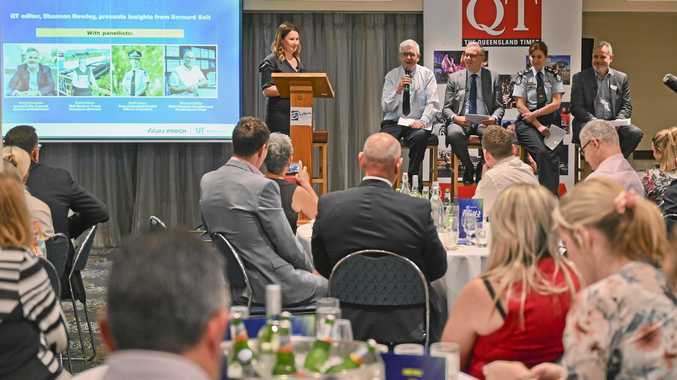 The QT's sold-out Future Ipswich Forum was held at Brother's Leagues Club yesterday afternoon. 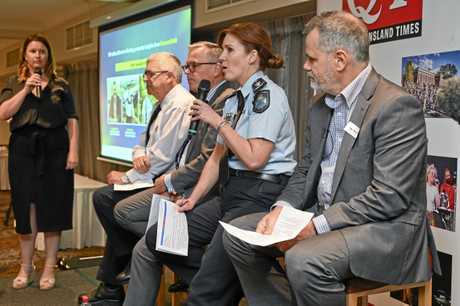 It brought together panellists Mr Chemello, Rail Back on Track spokesman Robert Dow, Ipswich Police District Superintendent Kath Innes and West Moreton Hospital and Health Board chair Michael Willis. Mr Chemello also used the forum to reveal the council take the plunge and spend $750,000 to develop a business case for the Springfield to Ipswich rail link, the city's "biggest project". "That's money well spent," he said. "That's absolutely essential... You'd start digging that tomorrow if you could." Mr Chemello said the focus for him in the next year would be "returning to you a council that is effective and operating well and can plan and deliver growth". "The number one priority, I should say don't undo what we've done," he said. "It's aligning the capital budgets and the operating budgets of the council to meet the demands of growth and not go back to pet projects or divisional split projects or populist projects. "It's about being disciplined about the capital and operating expenditure of the council - that comes substantially from ratepayers - is spent on the areas that the growth demands. "The one thing I'd ask them to do is to keep that discipline going and not go back to the populist projects." He said the council would release a priority list of the region's major infrastructure projects for comment. "That's taking the big, scary audacious projects that perhaps haven't seen the light of day," he said. Mr Chemello also revealed the council will spend $750,000 of its own money to develop the Springfield rail line business case. He said it was critical major infrastructure was planned for and pushed to higher levels of government. "Infrastructure has lagged behind development in Australia only for the last 230 years," he joked. "Before that it was okay. "We have traditionally lagged but that's exacerbated here." Passionate public transport advocate Mr Dow caught a train and connecting bus to the Future Ipswich forum. A slight train delay meant he almost missed the bus and would have missed the luncheon; a perfect example on the need to improve the service times. "The frequency of rail and our bus network is very poor," he said. "We need to increase the bus frequency. "It's one of the best things we can do in transport investment; big bang for the buck." An early onset of the flu season has given Ipswich Hospital management an indication of what the peak pressure is like. West Moreton Hospital and Health has recorded a 26 per cent increase in inpatients in the last three years "without one item of new capital investment in that time", Mr Willis said. "There's been some really smart solutions, some innovation and processes through managing people through the health system. "You call it a tsunami, it is." Mr Willis said the right facilities needed to be in place "to deliver care as close to home as we can". "We have to invest in capital and we've developed a strategic plan that feeds our masterplan which is a 15-year program," he said. "We're looking at that all the time to make sure we're getting it right and delivering the right services. "It's a live challenge for us to make sure we're getting it right." He said more hospital beds were needed, but education to prevent people from needing a bed was also essential; particularly as more people relied on Ipswich's health services. "The population growth we projected two or three years ago is coming on faster than it was expected," he said. 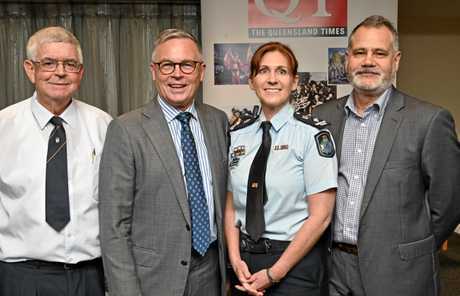 Superintendent Innes said Queensland Police had its challenges coping with population growth. "Throwing more police at the problem is not going to solve the crime problems and underlying social issues that come with population growth," she said. "It's about thinking smarter about the way we offer services and how we integrate with our partners." Ipswich's top cop said police needed to become more tech-savvy. "Cyber crime is a massive growth industry for us and we're probably ill-prepared generally as a community and as a policing response to be able to respond to that," she said. Superintendent Innes, a self-confessed traditionalist who would love to send police out to help rescue cats stuck in trees, said the way police responded needed to change. "We really need to be just going to those high-risk, high-intervention matters and the other matters need to be dealt with in more flexible ways," she said. "We have so many more people and we have so many more high-risk matters happening, we need to prioritise." 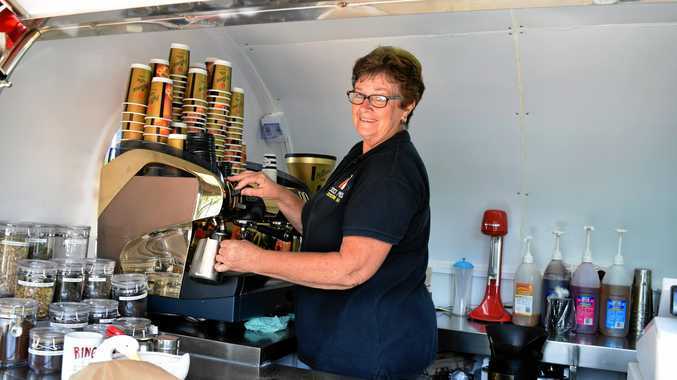 Mr Chemello said more people brought its own challenges to Ipswich City Council. "As population grows demand for chasing up those errand dogs, picking up wheelie bins, those services are very expensive," he said. "As a council and as ratepayers to council, that's a big issue, the increasing operating costs." He said the council needed to take the community along the journey of change. "If we're going to have any success in getting Commonwealth or state funding we need to have massive community support behind a shared vision," he said.